In Finnish foreign policy the Paasikivi Policy represents an era that was characterized by unusual conditions. Following this line of thinking, emphasis is on the first half of the concept, the person of J.K. Paasikivi. The policy can also be understood as a political tradition that creates a foundation for foreign political thinking. In that case, emphasis is on the word ’policy’ that indicates a historical entity of thinking and practical solutions. Both these sides have been present in the activities of the Paasikivi Society. In the early stages, Paasikivi’s person was strongly emphasized. However, at the same time there was a wish to further foreign political thinking following the Paasikivi policy and to put together an extensive foreign political consensus to support its principles. In both cases, a Finn refers conceptually to something altogether original and discernible. This can be called the problem of authenticity related to the Paasikivi policy. On the other hand, the Paasikivi policy is a way to belong somewhere, to find a place in international relations. As a concept, the Paasikivi Policy became established in the years following World War II and at the time, it referred to foreign policy led by Paasikivi. The Paasikivi policy nevertheless divided opinions for a long time. A key divider at the end of the 1950s was the question about the continuity of the policy that had been followed. Many thought that Paasikivi’s policy had been dictated by unusual circumstances and it was thus transitory. The Paasikivi Society emerged at that time as the Paasikivi policy represented something more lasting; an approach applicable to various times. The ultimate goal of Paasikivi’s foreign policy was to remove the state of emergency brought on by the ’interim peace’ of 1944 and to return full sovereign rights to Finland. This required that Finland sign a peace agreement with the Allies and meet the requirements of the agreement. In practice, the policy went much further than was expected, because the 1947 Paris Peace Treaty contained stipulations concerning Finland’s security policy and national freedom of speech that Finland did not give up until the collapse of the Soviet Union and the end of the Cold War. 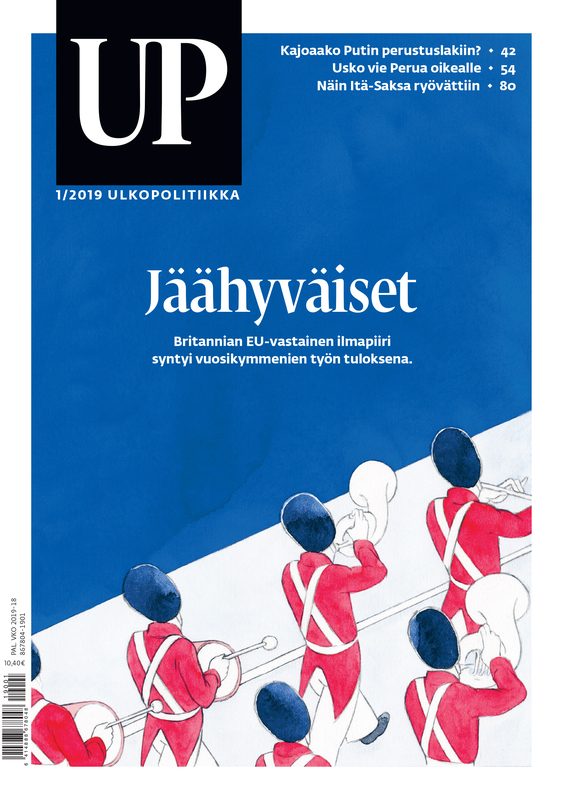 In this sense President Urho Kekkonen followed the policy of his predecessor in following the stipulations and trying consistently to get them interpreted, changed or altogether removed with the permission of the Allies’ representatives, the Soviet Union and Great Britain. The peace agreement tied domestic policy directly to the foreign policy of the Cold War period, because it guaranteed a freedom of action for the Communist Party that had gone underground before the wars and banned anti-Allied propaganda as well as any organizational activities hostile to the Allies. Foreign policy leaning on the peace agreement thus required that Finland remain outside the ideological juxtaposition and disagreements between the superpowers that were typical of the Cold War. From the perspective of the Paris Peace Treaty, the Paasikivi policy differs from the foreign policy of other countries in a similar position and from international politics in that the international position and credibility had for fifty years consistently been built on honoring and following the treaty dictated by the winners. It was, of course, not a question of submission, but turning the necessary into a virtue. This ethical-practical principle joined the practical foreign policy of Paasikivi and his followers to the roots of Finnish nationalism and the movement of nationality in the mid-1800s, to J.V. Snellman’s Hegelian social philosophy and to political science. The basis for Finland’s international position was settled at the end of WW II in the negotiations between the Allies, in which the Allied interests in Finland were represented by the Soviet Union. The position Finland had during the Cold War was mainly based on the fact that Finland became the only country referred to in the Yalta accords to whom the Yalta principles were applied and that made an effort to remain in the very narrow space created by the principles during the Cold War. Paasikivi’s foreign policy was based on the idea that Finland had to create good working relations to her neighbour, the Soviet Union. This would be possible only by persistently building a relationship based on mutual trust. Paasikivi’s basic idea was that this kind of trust could be achieved by acknowledging the Soviet Union’s legitimate security interests in Finland’s direction. As such, it did not go further than what the Western superpowers had acknowledged in the Yalta accords, even if they soon gave up the plan as the Cold War intensified. Paasikivi assumed that the Soviet Union had only limited security interests in Finland’s direction. Hence he attempted to interpret history in order to break down political and psychological obstacles the situation had created in Finland. Securing the legitimate security interests of the Soviet Union also explained why Paasikivi agreed to the political Treaty of Friendship, Cooperation and Mutual Assiatance that the Soviet Union proposed in 1948. In Paasikivi’s opinion, the treaty did not contain anything that would not occur in practice if the Soviet Union were threatened with military force from Finland’s territory. 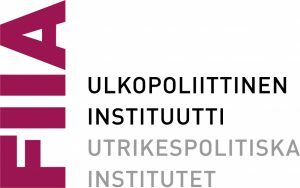 It was characteristic of Paasikivi to be deeply pessimistic of how superpowers use their political and military power in international politics. Accordingly, the case was to what extent small countries could trust the promises and guarantees given by the superpowers that always kept their own interests in mind. Therefore it was no use denying the ultimate fact behind the Treaty of Friendship, Cooperation and Mutual Assistance. As a positive aspect, Paasikivi noted the fact that the Soviet Union in turn accepted limitations to the treaty that Finland could use to agree on the practical details of the application of the treaty on an ad hoc basis. Paasikivi’s unique optimism surfaced in the belief that unusual circumstances could be dealt with by negotiating as long as the foundation of relations was fine. Paasikivi’s attitude towards the Treaty of Friendship, Cooperation and Mutual Assistance was based on this belief. It was about political relations and decisions, not legal viewpoints. In light of Paasikivi’s thinking, it would be questionable whether Finland had refused to negotiate with its neighbour when the Soviet Union felt threatened from the direction of Finland. Paasikivi considered it obvious that Finland’s own security policy would not oppose that of the Soviet Union. In his opinion this wasn’t sufficient, because historically it was equally important that no third party would exploit Finland’s territory against the Soviet Union. Paasikivi’s successor Urho Kekkonen expanded the good neighbour policy commenced by his predecessor. He began with the assumption that the Soviet leadership could be convinced of the security guarantees, but also of the other advantages that Finland’s special position had to offer to the Soviet Union. Ideologically, Finland offered an example the peaceful co-existence of two states with different political systems. The co-existence had been propagated by the Soviet Union after the post-Stalin period. This led Kekkonen to progress to the idea that Finland could act as a political and economic ’bridge builder’ between the East and the West by maintaining good relations to both directions. Hence Kekkonen understood the positive aspect of Paasikivi’s character and developed the Paasikivi policy through negotiations and the reconciliation of interests. Kekkonen differed from his predecessor in that he developed a direct relationship with the highest Soviet leaders, whereas Paasikivi had contented himself with the traditional forms of relations between states. With the bridge-building policy – active non-alignment – and the reconciliation of economic and political interests, Kekkonen’s Finland adjusted to the structural changes in Europe brought along by the détente that was typical of the later stages of the Cold War. Paasikivi’s thinking and policy thus paved the way from the policy of different blocks in the 1940s to the post-Cold War Europe, in which Finland is politically and economically integrated to the West through the EU membership. When the Cold War ended, the justification for the Paasikivi policy, namely the political and military strength of Finland’s Eastern neighbour, disappeared. Nevertheless, Paasikivi examined international politics from a historical viewpoint. He noted that nations sometimes climb to the peak of a mountain, but sometimes descend to the bottom of a deep valley. The foreign-policy reserve charasteristic of Paasikivi was, among other things, influenced by Snellman’s warning that when the times are good, a small nation should not attempt to achieve what it cannot keep when the times turn bad.